Get acquainted with a new destination or explore one of your favorite Italian cities in a new and exciting way! Whether you are looking to cover the must-see's, have more hands on experience with a cooking class, or really want to get out into the country with a bike ride, we have a wide selection for you to choose from. Below are lists by city or category for you to browse while dreaming up your perfect vacation. Enjoy a private cooking class at a Florentine signora's beautiful home located in the outskirt of Florence. The house was built in the 11th century as a lookout tower. Later, it became the residence of Francesco Granacci, a successful painter in the 16th century and one of Michelangelo’s close friends, and for this reason it was named “Casa del Pittore” (Painter’s house). It’s now a gorgeous renovated stone farmer’s house on a hilltop overlooking Florence. Embark in the morning on your private boat from Sorrento and cruise along the Sorrento Coastline towards the Amalfi Coast. You will see the private villas and coves of Sorrento on one side and the island of Capri on your other side, with Naples and Mt. Vesuvius behind you. The views are spectacular. You will then head over to the Amalfi Coast where you will have the opportunity to stop and swim, visit various villages, and experience the beauty of the unique coastline. Embark in the morning on your private boat from Positano and cruise through the heart of the Amalfi Coastline. You will see the private villas and crumbling towers, the quintessential fishing villages climbing up the mountainside, clear, turquoise coves that beckon you to jump in for a swim, and the Mediterranean Sea all around you...the views and the beauty are magical. Throughout the day you will have the opportunity to stop and swim, visit various villages, and experience the beauty of the unique coastline. Embark in the morning on your private boat from Sorrento and head along the coastline towards the Island of Capri. You will see the private villas and coves of the Sorrento Coast on one side and the island of Capri in front of you, with Naples and Mt. Vesuvius to your right as you cross the Bay of Naples. The views are spectacular. Throughout the day you will have the opportunity to stop and swim, visit Capri and Anacapri, and experience the beauty of the unique coastline. 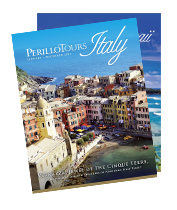 Embark in the morning on your private boat from Sorrento and cruise to Capri. You will see gorgeous villas and coves, crumbling Norman towers and huge rock formations jutting out of the sea, as well as Naples and Mt. Vesuvius looming over the bay. Then, you will sail to Positano. The view of Positano from the sea is one of the most famous and colorful views in the world. Time permitting, stop to explore the cobblestone alleyways weaving up the mountain, lined with boutiques. Set out on a 2 hour sunset cruise along the coastline where you will escape the hustle and bustle of busy Sorrento. Relaxed and informal, enjoy a cruise along the beautiful Neapolitan Riviera. Stop to swim in the calm waters as the sun begins to set behind the island of Capri. The Bay of Naples is known for its beautiful sunsets and there is no better way to experience them than on a private boat. You will have an unobstructed view of the sun setting behind the island. Sip prosecco and enjoy the tranquil environment of the southern Italian landscape. Set out on a 4 hour sunset cruise along the Sorrentine Peninsula in the Bay of Naples where you will escape the hustle and bustle of Sorrento. Relaxed and informal, you may stop to swim in the calm waters as the sun begins to set. You will have an unobstructed view of the sun setting behind the island of Capri. Sip prosecco and enjoy the tranquil environment of the southern Italian landscape. Embark in the morning on your private boat from Positano and head along the coastline towards the Island of Capri. You will cruise through the heart of the Amalfi Coastline and see the private villas and crumbling towers, the quintessential fishing villages climbing up the mountainside, clear, turquoise coves, and the Mediterranean sea all around you...the views and the beauty are magical. Throughout the day you will have the opportunity to stop and swim, visit Capri and Anacapri, and experience the beauty of the unique coastline. Set out on a 2 hour sunset cruise along the coastline where you will escape the hustle and bustle of the busy coastline. Relaxed and informal, enjoy a cruise along the beautiful Neapolitan Riviera. Stop to swim in the calm waters as the sun begins to set before making your way over to the private islands and underwater nature preserve of Li Galli. These islands sit directly across from the island of Capri. You will have an unobstructed view of the sun setting behind the island. Sip prosecco and enjoy the tranquil environment of the southern Italian landscape. Set out on a 4 hour sunset cruise along the coastline where you will escape the hustle and bustle of the busy coastline. Relaxed and informal, enjoy a cruise along the beautiful Neapolitan Riviera. Stop to swim in the calm waters as the sun begins to set before making your way over to the private islands and underwater nature preserve of Li Galli. These islands sit directly across from the island of Capri. You will have an unobstructed view of the sun setting behind the island. Sip prosecco and enjoy the tranquil environment of the southern Italian landscape. Coastline. You will see the private villas and crumbling towers, the quintessential fishing villages climbing up the mountainside, clear, turquoise coves that beckon you to jump in for a swim, and the Mediterranean Sea all around you...the views and the beauty are magical. Throughout the day you will have the opportunity to stop and swim, visit various villages, and experience the beauty of the unique coastline. Embark in the morning on your private boat from Capri and cruise across the Bay of Naples towards the Amalfi Coast. You will see a beautiful view of the entire Isle of Capri behind you, the vast cliffs of the Amalfi Coast in front of you, with Naples and Mt. Vesuvius on your left as you cross the bay. The views are spectacular. You will have the opportunity to stop and swim, visit various villages, and experience the beauty of the unique coastline. In this excursion you will explore the very best of Capri...taking you on a cruise around one of the most enchanting islands in the world. Throughout the day you will have the opportunity to stop and swim, and experience the beauty of this unique island. The Blue Grotto: Known for its electric blue light, it was once the private bath house of Roman Emperor Tiberius before it was abandoned for centuries, feared to be cursed. From a religious pilgrimage site to a famous film set: come with us across the rolling green hills of Tuscany and Umbria and discover the artistic jewels of Assisi and Cortona. Assisi, San Francesco’s birthplace, stands on the top of a hill overlooking a picturesque valley surrounded by gentle slopes and vineyards. Following San Francesco and Santa Chiara’s footsteps, you will be guided through winding streets and alleyways to the historical and artistic treasures of this Medieval town. Pisa, one of the most visited cities in Tuscany, is famous for its Leaning Tower and the beautiful Piazza dei Miracoli, which are considered among the most beautiful sights in the world. The guide will lead you on a visit of the Leaning Tower, the Monumental Cemetery, the Cathedral and Baptistery. Enjoy free time in the city before heading back to Florence. Explore the Italian Riviera Coastline and Portofino area, along with the little villages such as Zoagli and Punta Chiappa in a different way, by Boat! Your captain Michael will welcome you aboard for a private full day trip, where you will have the chance to swim, snorkel, or just relax and explore the gorgeous coastline in peace. Meeting point is at Lavagna harbor. Lavagna is a small town located between Santa Margherita Ligure and Sestri Levante. The “Amalfi Coast Drive” is said to be the most famous scenic drive in Europe and the winding cliff top road offers breathtaking panoramic views at every bend. Each spot is a world of its own, a fantastic world which dazzles the imagination and inspires unforgettable impressions. Suggested stops: Amalfi, Ravello or Sorrento. Suggested stops: Amalfi, Ravello and Positano. Take a journey to the two most historical villages in Tuscany: San Gimignano and Volterra, along with the city of Colle di Val D’Elsa. While on the way to San Gimignano, take a stop in the town of Colle di Cal d’Elsa, named after the River Elsa that crosses the valley, which is considered the capital of Italian Crystal. For 800 years this is the location where beautiful crystal glass is produced and transformed into gorgeous and unique handmade works of art. Have the chance to witness the crystal glass making first hand in a traditional factory in this amazing town. Take a 4-hour tour of the Vatican Museums, Sistine Chapel, St. Peter's Basilica, and St. Peter's Square. Enjoy the skip the line access for the best Vatican experience. After a quick lunch break, explore the most important sights of Ancient Rome - the Colosseum, Roman Forum and Palatine Hill with skip the line access. Discover Lake Como in Italy's beautiful Lake District, just a short distance from Milan. Nestled between the huge snow-capped Alps that rise up from its shores, is fashionable lakeside town Como. Then take an enchanting panoramic cruise on the lake by private boat. Enjoy a walking tour of Como with a private English-speaking guide. Then take an enchanting panoramic cruise on the lake by private open top boat. On this full day tour you will discover the "pearls" of the central lake area, visit some of the most famous waterfront villas and taste delicious local products. The tour will start with a trip to a fascinating ancient mill on the hills above Varenna where you will be offered a tasting of the locally produced olive oil, typical Valsassina cheese, cold cuts and wine. Then, it will continue with a guided walking tour of Varenna with its Celtic origins and steep alleys. Fun for the whole family! This is the only group Vatican Museums tour designed by a childhood education specialist specifically for families with younger children of around 7-12 years of age. Discover the wonders of the Amalfi Coast on this amazing guided day tour departing from Rome. This is your chance to experience this UNESCO recognized landscape, as well as see its top two ‘jewels’, the towns of Amalfi and Positano, all with captivating and entertaining insight from a local expert guide throughout the day. In addition to its stunning panoramas and towns, you’ll also get off the beaten path for a taste of one of the region’s world famous specialties, Buffalo Mozzarella, from a working cheesemaker that produces this delicacy fresh every day. You will be picked up at your hotel in Milan and transferred to the meeting point in Varenna for the Group - Highlights of Lake Como tour. The tour will start with a trip to a fascinating ancient mill on the hills above Varenna where you will be offered a tasting of olive oil, cheese, cold cuts and wine. Then, it will continue with a guided walking tour of Varenna with its Celtic origins and steep alleys.